Lovers of lager and ale aficionados, we’ve got some news that is sure to make you happy! There’s a newcomer to Canberra’s vibrant craft beer scene, and it’s bringing a taste of Southern California to the ACT. 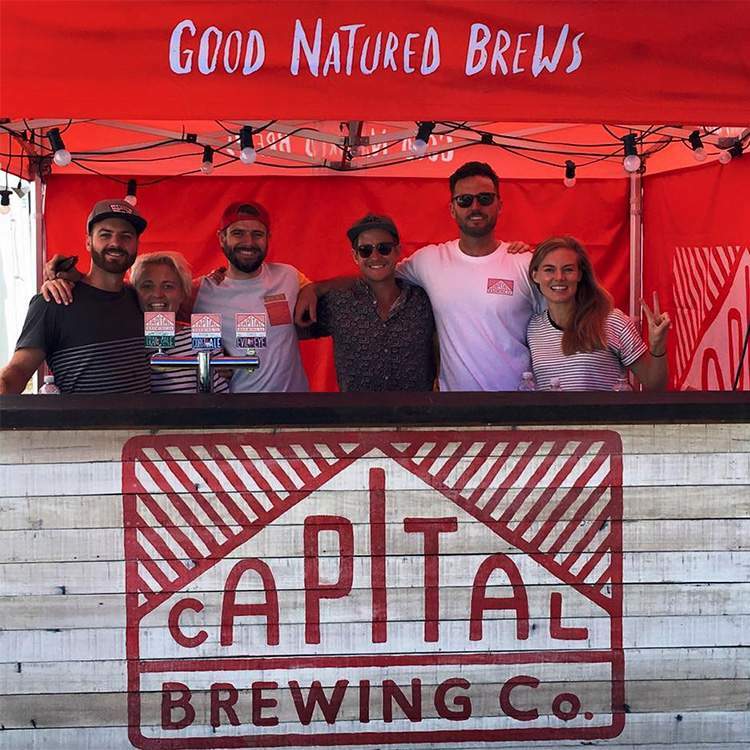 Capital Brewing Co is the brainchild of Tom Hertel and Laurence Kain, who also co-own the swanky Civic bar Hippo Co. They’ve joined with their mates Rich and Sam Coombes (founders of Batlow Cider Co) and recruited head brewer Wade Hurley from San Diego to create amazing Aussie beer with a hint of American flavour. It’s sure to cure what ales you! They’ve produced three “good natured brews” so far – an IPA called Evil Eye Red, a Coast ale, and a Trail pale ale. The pale ale is made to an American style, rich in malt and hops, and the Evil Eye Red IPA is even heavier. But for those of you who like a lighter brew, never fear – the Coast ale is a California-style beer perfect for easy drinking. 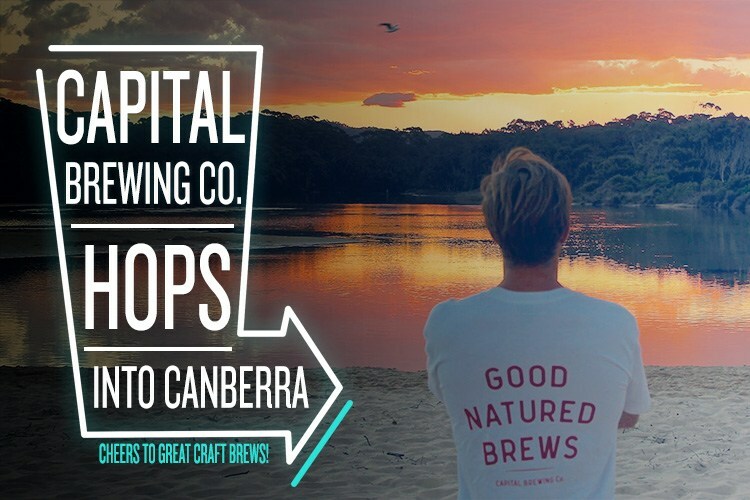 Despite the US influence, Capital Brewing is determined that their beer will have a distinct Canberran identity. The entire range will celebrate the region’s trails, lakes and mountains, bringing the two nations together in a beautiful malt-rimony. We sat down with Laurence for a cold one and a chat to find out more. Hi Laurence, thanks for taking the time to talk to us. Can you tell us a bit about your background and how you got your start in the world of brewing? I started working pubs when I was 16, then got into music festivals and back into bars again in 2011. Tom and I started working in bars together around 10 years ago, we opened Honkytonks together in 2011 and met Rich and Sam because we were buying their cider. We became mates and have been talking about starting a brewery for a while now – and here we are! Speaking of Tom, Rich and Sam, you’re actually joining forces with six beer industry veterans. What made you decide to go into business together? We all kind of came together through Batlow supplying cider to Honkytonks. It is a really awesome team because we all have different skills and experience. Sounds like a dream team! Where do you source your hops and other ingredients? We are super lucky to have the Batlow connection; the growers started their hop growing program a few years back and have just had their first commercial harvest. They are the first first hop farm in NSW and we scored a bunch of cones to use in our red IPA. The growing region is only 80km from the capital as the crow flies, so it is really awesome to have that regional connection in our beer. Some of your standard brews include a California-style Coast Ale, Trail ale and ‘Evil Eye’ IRA. It must be hard to pick, but which is your favourite? I really dig the IPA – it is super interesting with over 20kg of hops in the dry hop process alone. It is also well balanced with a good malt backbone. You can’t wrong with a good malt backbone! Where do you find inspiration for your beers? We are all into a variety of outdoor sports – the capital region is probably the best in the country for a variety of climates and terrains. back country skiing, hiking, rock climbing and surfing. A lot of the inspiration came from the kinds of beer we would like to drink while we are out having fun; the coast ale is perfect for the trip down the Clyde mountain to the coast, a really iconic trip for every Canberran. Great for post-surf brews! What are your favourite beer and food pairings? I just really enjoy any beer with a delicious plate of Mediterranean mezze (hot chillies included)! When you’re not sampling all your own beers, where do you love to go for great drinks in Canberra? You really can’t go past BentSpoke Brewing in Braddon. They make amazing beers and are a bunch of really cool guys – Richard Watkins is a true brewing pioneer. 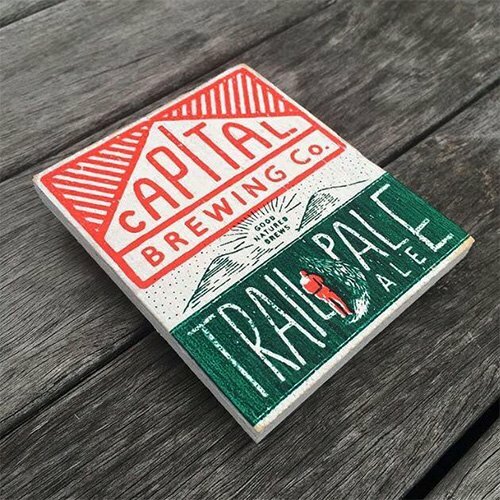 Capital Brewing Co.’s beers started hitting the shelves as of April 21. Look out for them in bars and restaurants Australia-wide and head to their Facebook page for all the latest updates. Image credit: Capital Brewing Co.